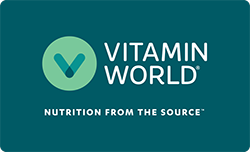 It's an innovative, multi-phase release supplement which delivers premium ingredients via multiple-targeted release using TERRA Intelligent Dosing® technology and an innovative Multi-Coating Matrix. 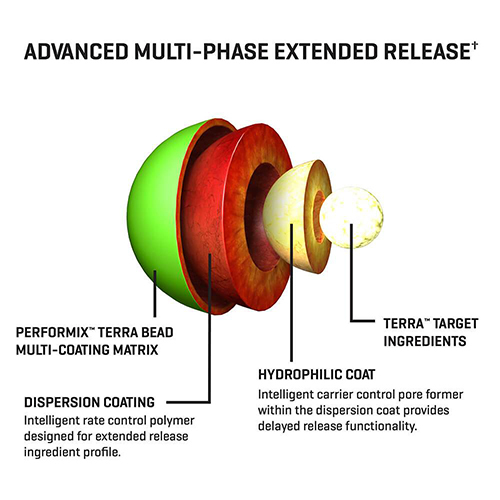 Employs unique TERRA Pod Ballistic Beadlets packed with these ingredients which are then timed-released in advanced multiple phases using TERRA Intelligent Dosing™ technology. 60 powdered capsules. 30 servings per container. Directions: As a dietary supplement, adults take 1 serving (2 capsules) in the morning with a meal. Please read the entire label before use. Store in a cool, dry place. Other Ingredients: Rice Flour, Gelatin, Magnesium Stearate, Silica, Microcrystalline Cellulose, Ethyl Cellulose, FD&C Red #40, FD&C Yellow #5. Produced in a facility that also uses milk, eggs, fish, shellfish, treenuts, peanuts, wheat and soy. Warning: THIS PRODUCT IS INTENDED FOR USE BY HEALTHY ADULTS OVER THE AGE OF 18. Not intended for use by those with a medical condition. Use only as directed. Do not exceed recommended daily intake. Consult a physician or licensed qualified health care professional prior to use if you are taking medicaion, or if you have a medical condition. Discontinue use 2 weeks prior to surgery. DO NOT USE IF SAFETY SEAL UNDER CAP IS BROKEN. KEEP OUT OF REACH OF CHILDREN.